Our Company, S. L. Packaging Private Limited has always stood by the quality of its products and our objective has always been Quality Products, Reasonable Price and Excellent Service. Today we are a prominent Company in the industry and have made our presence felt among customers by setting high standards of products and standing by principles in customer satisfaction. We have a well equipped factory in Kolkata with modern stitching machines, employing experienced and skilled operators and separate printing, packing and designing department. We take pride in manufacturing bulk quantity of jute bags daily - all enduring, eco-friendly, lasting and fashionable. 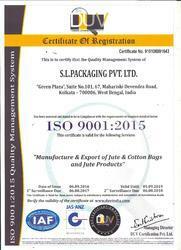 Manufacturing, Trading and Exporter of Jute Products, Plastic Products, Cotton Bags and Non Woven Bags. 2010-11 Rs. 50 - 100 Crore Approx. 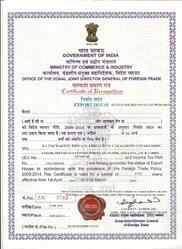 Ours is a credible organization, which is engaged in manufacturing and exporting a wide range of Packaging Products. 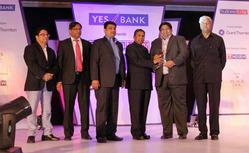 Business today Star SME Award 2012 winner.